St. Martin's Press, 9781250006004, 289pp. In 1956, Dorian "Doc" Paskowitz stepped away from a successful medical practice and began a lifelong surfing odyssey that grew to include his wife Juliette, and their nine children. Together, the Paskowitz clan lived a vagabonding bohemian existence, eschewing material possessions in favor of intangible riches like health and good cheer . . . all the while careening along the world's coastlines in search of the perfect wave. In "Scratching the Horizon, " Izzy Paskowitz looks back at his unusual upbringing, and his lifelong passion for the sport that carries his family's stamp. As the fourth-oldest child in a family of inveterate surfers, rock stars, and beach bums, he is uniquely qualified to shine a light on a childhood that has come to symbolize the surfing credo, a reckless young adulthood that nearly cost him his sanity, and a maturing sense of self and purpose that allows him to lift others on the back of his experience. "The Paskowitz family has spent a lifetime sharing surfing with the world and looking after kids (their own and others!). 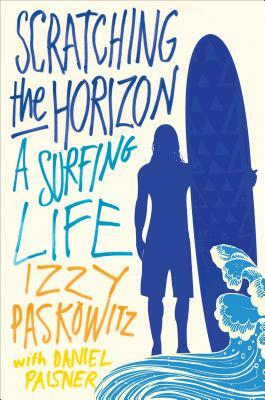 I'm eternally grateful to them for almost raising my little brother through their surf camp, and now I'm grateful to Izzy for sharing his family's story in these pages. What a wild ride!"